Handmade by me are going to there at the first of the markets this sunday with a whole lot of fresh stock, and we hope that if you head down this way you will pop in and say hi and check out what I imagine is a most gorgeous venue! If you are looking for the exact address it’s Val de Vie Estate, R301, Jan van Riebeeck Drive, Paarl, 7646 or check out their website for more details. 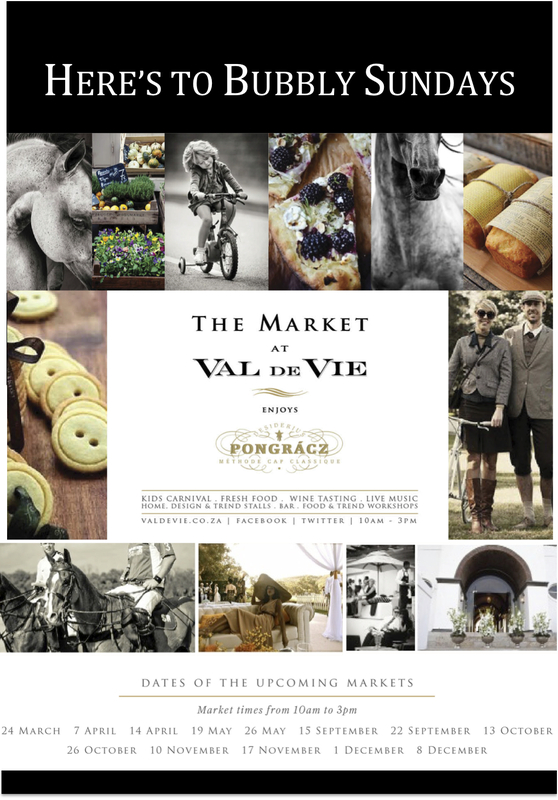 This entry was posted in events and tagged bar, carnival, design, food, handmade by me, home, kids, live, market, music, paarl, pongracz, sunday, tastings, trend, val de vie, wine by seraholland. Bookmark the permalink.